Emirates SkyCargo, the freight division of Emirates airline, has launched Emirates SkyWheels – a specialised transportation product for high value automobiles. Through its latest offering Emirates SkyCargo will provide customers a complete transportation solution for vehicles such as classic, luxury and sports cars, across its network. Customers who would like to have their cars transported can choose between Emirates SkyWheels Premium and Emirates SkyWheels Advanced. The customisable Premium product package covers door-to-door transportation of the vehicle from select origins and destinations. 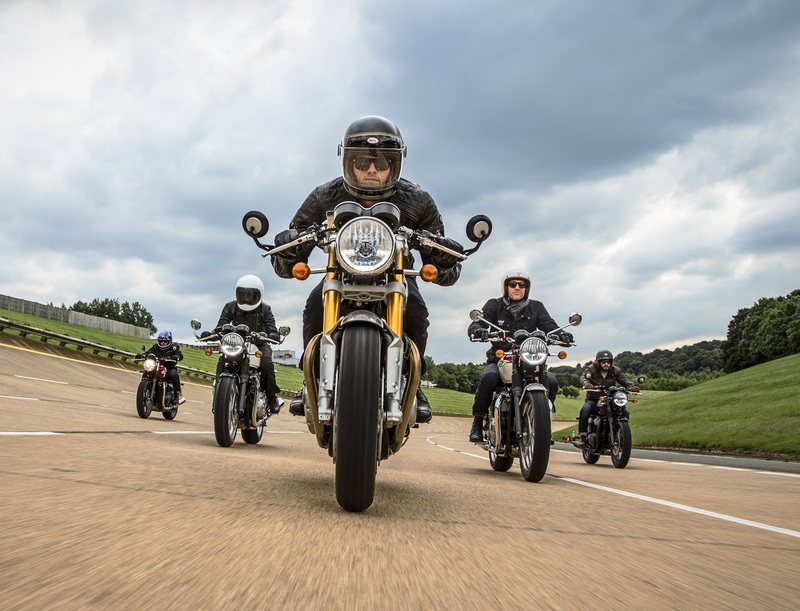 It includes collection of the vehicle from its home and delivery overseas, in addition to export and import customs clearance processes for the vehicle at both ends of the journey. 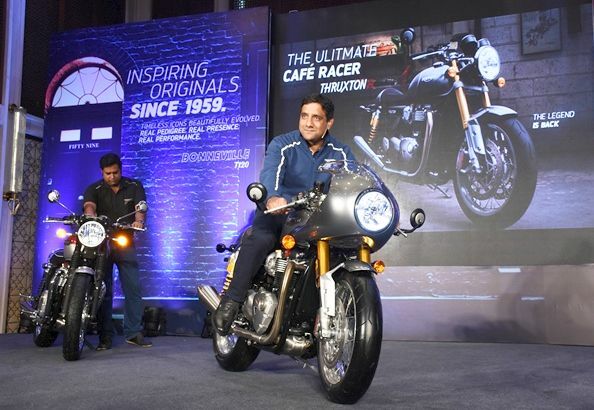 Additional road and transport insurance is also available under the Premium option. Emirates SkyWheels Advanced will offer seamless airport-to-airport transportation for automobiles. Emirates SkyCargo offers complete round trip handling of vehicles under both Premium and Advanced products. Emirates SkyCargo is no stranger to transporting high value cars, both on its passenger flights as well as on its freighter aircraft. Emirates SkyWheels is backed by the expertise of highly qualified staff across Emirates SkyCargo’s global network of over 150 destinations in 6 continents, who are specifically trained on loading and unloading vehicles from aircraft with the utmost attention to care and safety. In addition to state of the art cargo terminals in Dubai featuring dedicated storage space for vehicles, Emirates SkyCargo also boasts a modern fleet of over 245 widebody aircraft including 15 freighters; 13 Boeing 777Fs and two B747-400ERFs. Emirates SkyCargo also recently transported an exclusive Pagani Zonda F super car from Dubai back to the Pagani factory near Bologna, Italy for a service. Watch an Emirates SkyCargo case study film following the journey of the car presented by automobile vlogger Mr JWW. Emirates SkyCargo is also a sponsor of the inaugural Gulf Concours event that will take place in Dubai on 18 and 19 November 2016. Part of the international Concours d’Elegance car competitions, the Gulf Concours is a prestigious platform that brings together a combination of rare classic cars and modern bespoke luxury and supercars, on display for the first time in the region. 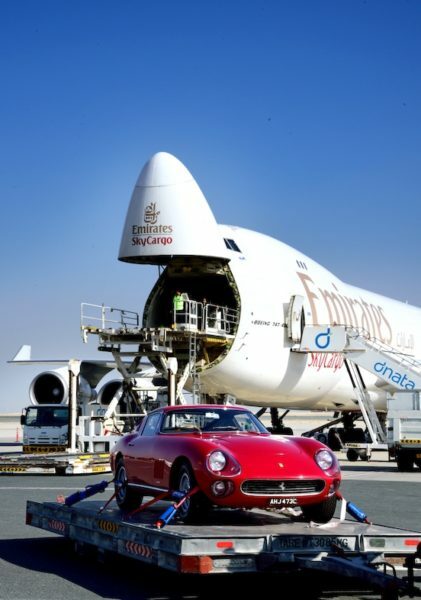 Emirates SkyCargo transported a collection of rare classic Ferrari cars to Dubai for the event. One of the cars that was flown into Dubai was a classic 1962 Ferrari 250 GTO estimated to be worth over USD 40 million. The car has a successful race history (27 races and 17 podium finishes) and was also one of the handful of cars used by Scuderia Ferrari for testing. 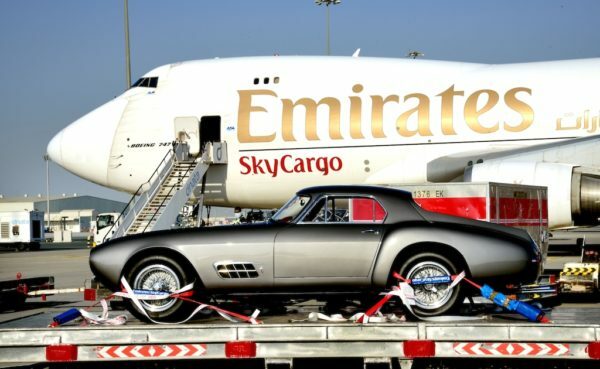 Some of the other cars transported by Emirates SkyCargo for Gulf Concours included a 1955 Ferrari 250 GT Competizione Berlinetta Sport Speciale and a rare 1965 Ferrari 275 GTB Competizione. Cars participating in Concours d’Elegance events across the world are normally not driven on a day to day basis and are meticulously maintained by collectors to ensure a perfect appearance for display in private collections, museums or competition events. This, combined with the high value and uniqueness of the cars, meant that the Emirates SkyCargo team had to ensure that the vehicles were transported with the utmost of care, safety and security.